• Tour performing Titanium woods produce maximum distance and shot control. • 5 piece Titanium clubhead has a variable-thickness cup face for increased distance. 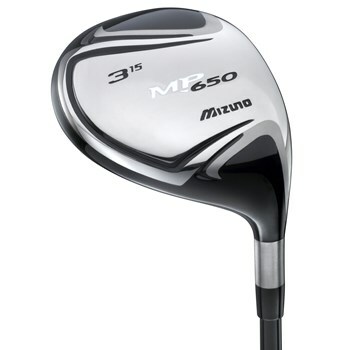 • Titanium clubhead allows the engineers to optimize the CG placement and MOI. • Pear shape head with an open face angle promotes a straight to slight fade trajectory. • Harmonic Impact Technology (H.I.T.) allows the MP 650 to send out a solid sound.